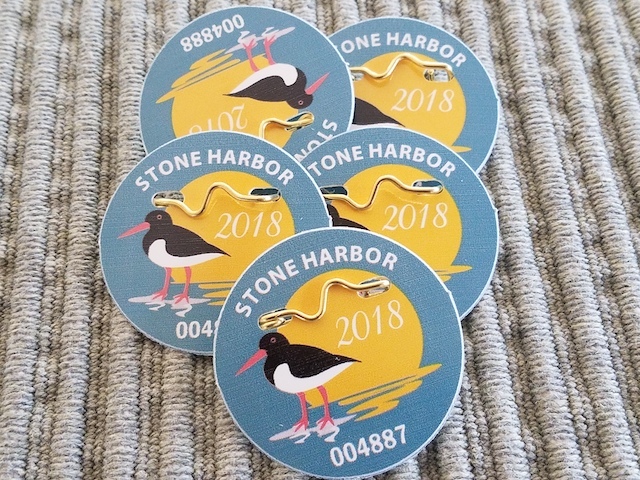 Reminder that seasonal beach tags are now on sale in Avalon and Stone Harbor NJ. Tags are $23 each and allow you to “cross the border” between the two towns! Purchase before the end of May for the pre-season price. Although most of my beach time is before and after the tag checker hours, I am happy to contribute to the protection and maintenance of our beautiful shore line. I remember the days we used to come down for a day trip in May, buy a couple of season badges, and then do day trips in June, July, & August to hold us over until our week in September. The tradition fell by the wayside when the kids got older & had activities and jobs. Might be time to reinstate that tradition.